This section presents selected documentation from over 100 exhibitions I produced or presented during the 80’s, 90’s and 2000’s. I was director, fundraiser, curator or designer for each of these projects that were shown at the galleries and museums listed at left. 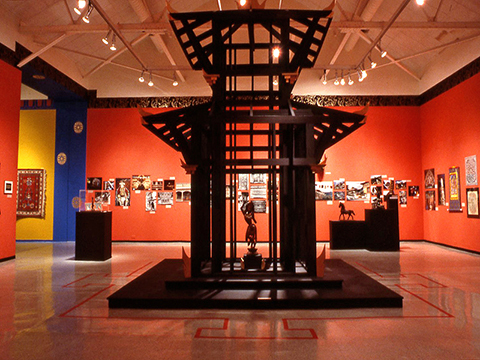 Himilayan Towers: Art, Architecture and Religions of the Silk Road, installation view, C. U. Art Galleries, University of Colorado at Boulder, 1988.